The experimental pop-up turns permanent in a bid to save the ceremony of shopping. I wrote, recently, about the death of the department store and its successor, pop-up retail. “The dot-com era,” I posited “has made it all too easy to forgo confusing floor plans and escalators that inevitably lead up to the wrong department.” Digital shopping is simpler, speedier and convenient to the point of needing nothing but an internet connection. The novelty of the gargantuan four-storey shop has worn off; it feels clunky, dated and an altogether unenjoyable waste of time. There is little pleasure to be found in parking meters and haphazard racks of goodness-knows-what. In that piece, I argued, the tiresome department store was being replaced by pop-up retail. But what happens when the experiential retail design of the pop-up turns permanent? Big brands like Nike and Apple have been pushing the boundaries of high-concept retail design for years; constantly re-inventing their shop floors to keep foot traffic afloat. Big budgets have made easy work of this no-small venture, but despite dwindling foot traffic, the humble boutique is now following high-profile brands into the concept-store ring. Spirited, no doubt, by the knowledge that customers are placing increasing value on unique, personalized experiences over factors such as price and product, brands are rethinking their IRL spaces in a bid to reinvigorate the bygone era of shopping. 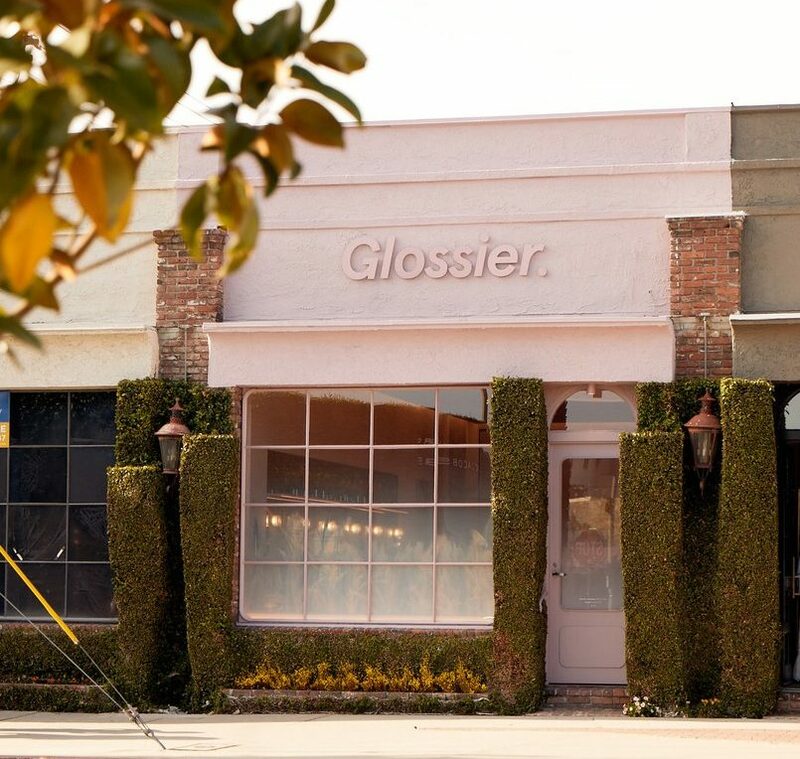 Beauty brand Glossier’s digital roots have sprouted into several exciting retail pop-ups (including a chicken-and-waffles-and-eyeshadow location) and not one, but two bona fide brick-and-mortar stores. The millennial makeup giant launched its second permanent store in Los Angeles just two months ago. 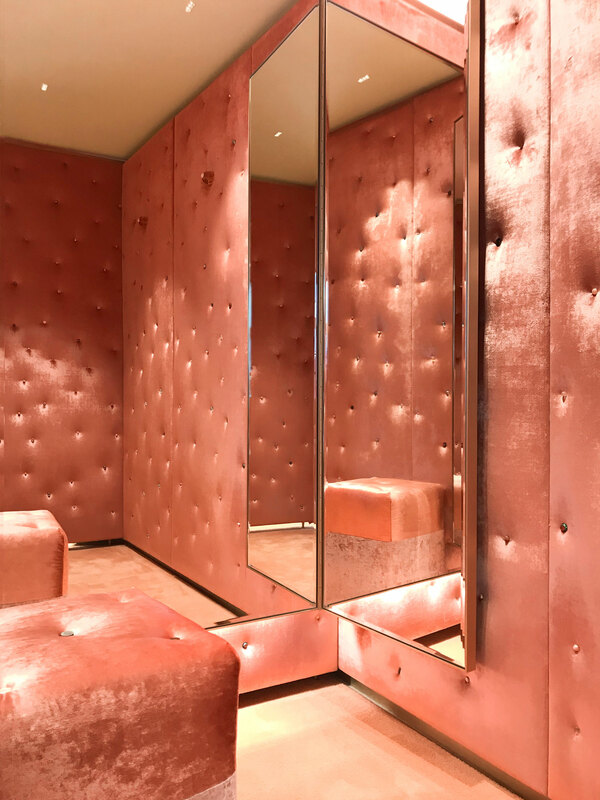 The 1,500-square-foot Melrose Avenue store, which looks more like an exhibit than a shop, includes an immersive “Glossier Canyon” custom-made for generating selfies. 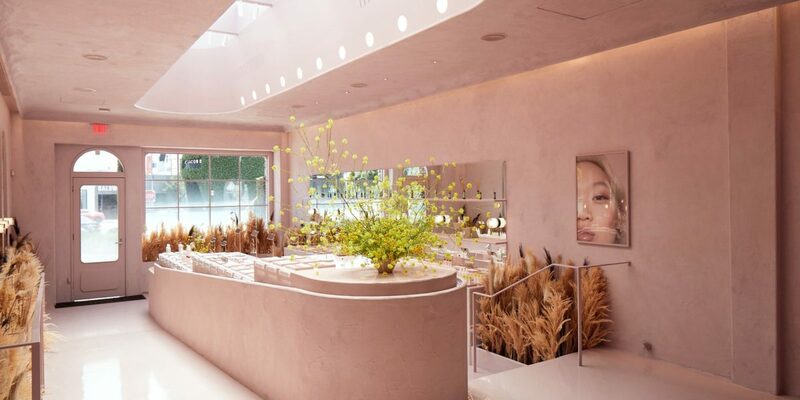 “Like all of our offline spaces, the concept for Glossier L.A. is native to the city and the local lifestyle of our community—in this case, it was the idea of escaping L.A. and driving through the desert,” Melanie Masarin, Glossier’s director of retail and offline experiences, explained to Architectural Digest. What Glossier’s pink-perfected L.A. store gets right is the balance between the experience and what’s really important: the products. While rearview mirrors and pink-overall clad attendants positively scream for Instagram attention, lined up products remain the focus at the shop’s centre. 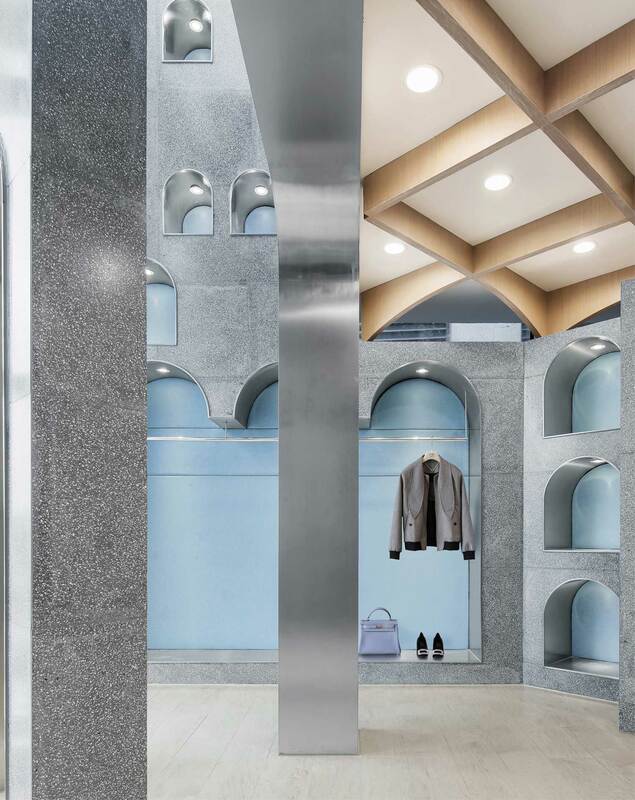 Italian womenswear label Forte Forte has sought to revive the intimate ceremony of “going to the shops” with a new flagship store in Milan’s artistic Brera district. Created by art director Robert Vattilana, the idea for the new store was simple enough: to marry brand concept with shop design. And so it is, the Milan location reflects the feminine and unique spirit of the brand. Images courtesy of Robert Vattiliana, via Yellowtrace. Photography by Paola Pansini. A more fluid and storied design forgoes traditional floor plans; the entrance is guarded by a dramatic white curtain; marble floors, walls and counters are adorned with mosaic glass in romantic pastels; changing rooms are draped in pink velvet and the most striking brass chandelier hovers above the entrance. In other words, it’s somewhere you’d want to hang out, but moreover, it’s an ode to the old-school way of an intimate and luxurious shopping experience. Recently-launched sustainable makeup brand, Fluff, has just opened its first concept store in Melbourne’s Fitzroy. From the outside, the shop’s warehouse exterior looks more like an exhibition than it does a cosmetics store. 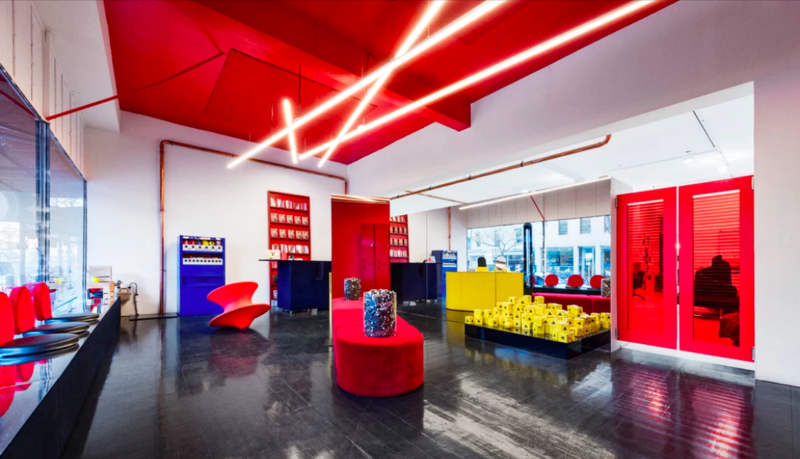 Neon lights and splashed red paint give way to an interior decked out giant dice and a vending machine. Founder Erika Geraerts – one of Frank Body’s co-founders – launched Fluff with the intention of creating a brand that spoke to its audience. The Fluff store reflects those ideals; it’s not just a place you can grab a bronzer, it’s a concept event space. The idea is a place where people can engage and connect with the brand: meet the team, chat cosmetics, ask questions and connect with other fans. Fluff is set to host a whole program of workshops and guest speakers over the next few months. The Fitzroy store even stocks Fluff merch: a range of custom Magic 8-Balls and safety matches, as well as Fluff t-shirts, beanies and reusable bags. Shanghai-based architects Mur Mur Lab have created a three-storey, free-standing complex featuring a ground floor hair salon, upstairs retail space, and even a production and logistics areas. Capturing a sense of escapism, which remains relevant even in the e-commerce era, the first floor is designed to be like an immersive theatre set, where salon guests are the performers in their own play. 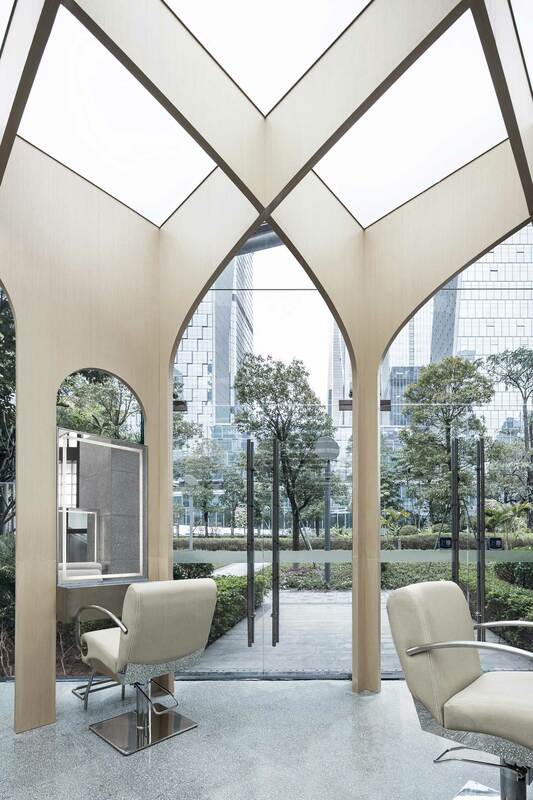 Arch shapes border individual performances and icy glass blocks and silver terrazzo creates a dream-like environment. It’s miles apart from the hum-drum existence of escalator-clad shopping malls and offers an enchanting break from the outside world. Got a favourite retail space? Let us know in the comments below!